While he actively denies that he is a journalist, John Oliver (formerly of The Daily Show) and his HBO show Last Week Tonight are known for shedding light on some pretty important issues. The program covers a good mix of more popular issues, from Donald Trump’s candidacy, the political conventions, and Brexit, and those traditionally swept under the rug, like 911 problems, Congressional fundraising, and the non-profit status of churches. This week, it was automotive lending’s turn to get its feet thrust into the fire. In the segment, which aired on HBO last night, John Oliver starts off by discussing the importance of cars in American life. A 15 minute commute by car can turn into a two hour commute by public transportation without a personal vehicle. 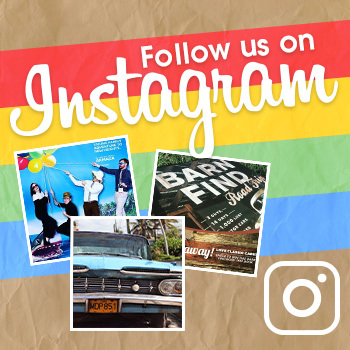 Many of us cannot afford to pay cash for a car, so we turn to auto lending to help us make a purchase. That’s where Oliver and his team really start to dig in. 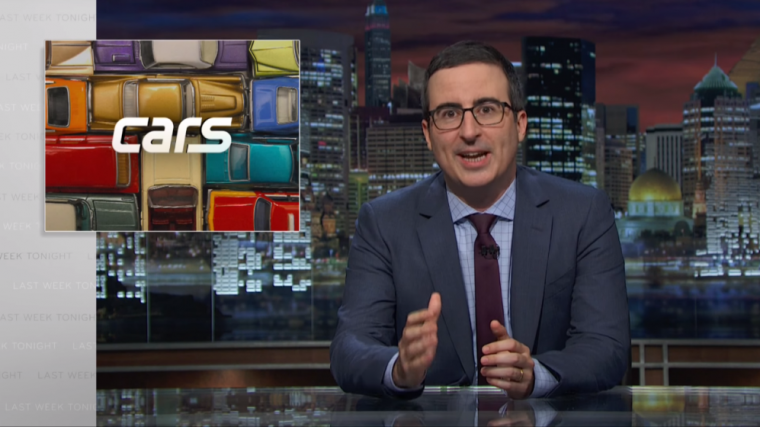 John Oliver starts the discussion with dealerships that use the “Buy Here, Pay Here” model, operating as the both a dealership and a lending institution. While Oliver gives them a sliver of credit for helping low-income or financially distressed customers get cars that many of them need to be employed, he rakes them over the coals for their high interest rates and predatory reposession practices. Many of these dealership customers walk out with loans that have exorbitant interest rates, forcing them to pay many times over what the car is worth to get out of debt. 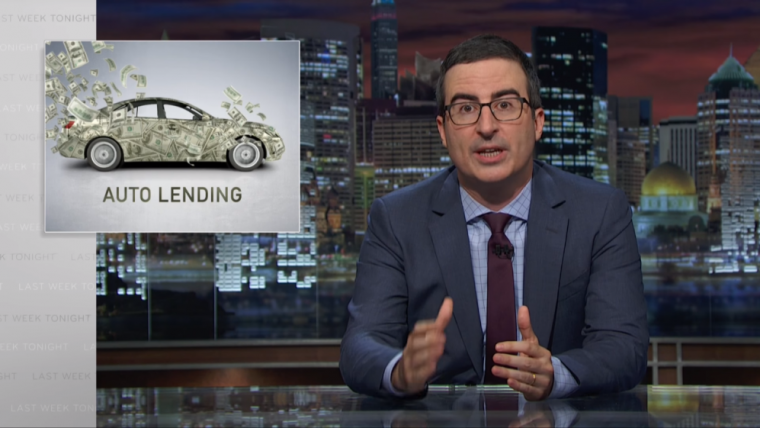 While “Buy Here, Pay Here” lots seem to be losing their popularity, John Oliver also points out that it’s because the larger institutions are getting in on the profits to be made on these subprime loans. Hopefully that term sounds familiar to you, because banks and lenders are doing the same thing with these loans as they did with home mortgages before the bubble burst in late 2007. People with poor to no credit are being given risky loans, which are then packaged up and bought and sold on Wall Street. You would hope and pray that after subprime home loans pulled our nation into recession and forced the government to bail banks out, those institutions would have learned something, but it seems as if that isn’t the case. Experts say that when or if this loan bubble bursts, the effect should be nowhere near as drastic as the housing crisis, as they are a smaller part of our economy, but does that really make you feel better? It is very concerning to me that these banks and lenders are refusing to learn from the devastating impact the last subprime loan crisis had on our economy. This isn’t even a case of history repeating itself, because the mortgage bubble burst less than 10 years ago. Most of the banking workforce, from executives on down, was affected by what happened, either as a professional in the industry, a future retiree that saw their retirement funds shrink, or as a recent college graduate that struggled to find work after receiving a degree. They should all know better. To close out the show on a funnier note, John Oliver was joined by Keegan-Michael Key and Bob Balaban to act out a used car advertisement, complete with obnoxious announcer interjections and cowboy hats. Last Week Tonight segments have a way of sometimes helping to awaken national awareness of important issues, so hopefully this episode of a comedy show will help America realize what’s happening. We need to help people get the loans they need to drive to work, without using practices that are terrible for us (and the economy) in the long run. You can check out the car loan clip from Last Week Tonight below, but be prepared for NSFW language (because Janice in Accounting doesn’t give a damn, and the show airs on HBO). John Oliver, I salute you, and implore you to keep fighting the good fight. You’re the Mary Poppins modern America needs now, giving us that spoonful of funny sugar to help the medicine go down.